in the forests, in solitude? to the grace and beauty within your soul. So begins one of the songs of Lalon Shah, also known as Lalon Fakir among the Hindus of Bengal − Shah being a Muslim Sufi title. His date of birth is not recorded, but he died in 1890 as an old man having composed thousands of short songs (often four or eight lines) passed down orally from disciple to disciple. 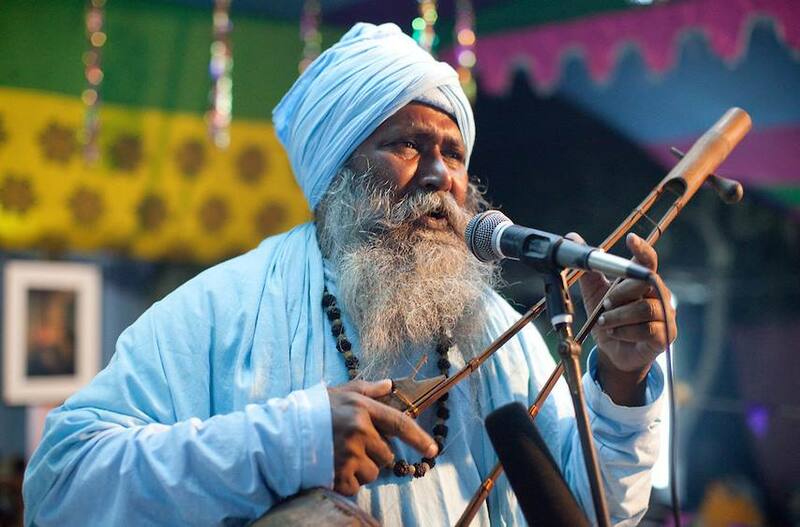 Only a small number of his songs have survived as such, as many Baul singers add to or modify songs by intuition or in response to current events. More of Lalon‘s songs are known through the efforts of Rabindranath Tagore (1861-1941), Bengal’s great poet and social reformer. Lalon Shah lived in a village on land which belonged to the Tagore family. Rabindranath Tagore as a young man spent time visiting villages on his family’s estates to understand better village life. Later in 1922, Tagore created a center for rural development and reform Sriniketan along side an innovative school Santiniketan started in 1901 where Tagore hoped that “the young and the old, the teacher and the student, sit at the same table to take their daily food and the food of their eternal life.” Bauls were always welcomed to sing in the courtyard of Santiniketan, and the students spread knowledge of Baul rural culture to more elite and urban Bengali society. Who are the Bauls? The Bauls are a class − some would say a sect − of ministrels, wandering singers of mystic songs, though today with the socio-economic changes in Bengal (both West Bengal, India and parts of Bangladesh) many Bauls have settled rural homes and a minority have followed the rural to urban flow of populations. The Bauls today number around half a million persons living usually on the edges of larger settlements. Those who continue to follow a Baul way of life live together under the guidance of a spiritual preceptor and are initiated into their function of singer-teacher-mystic through rituals of initiation. However, the Bauls, other than this original initiation, do not have set rituals, temples or priests. Those who are active ministrels (many drop out in order to follow more conventional ways of living) have no personal possessions other than a single garment, often saffron in color, a reminder of a period, prior to the 13th century arrival of Islam. The Bauls represent an earlier pre-Islamic Bengali current of thought which later influenced Buddhism in Tibet and has many similarities with the Yin/Yang balance of forces found in Chinese Taoism. Then what is the rule for women? Then how do I recognize a Brahmani? 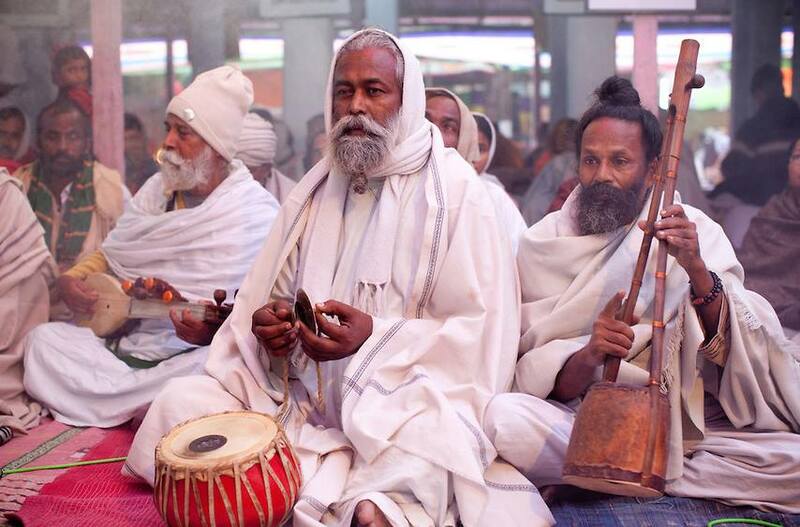 For Lalon, as with the Baul tradition, the Kingdom of God is within. There are no temples but that of the body of each person. Life is a continuous interior search in which intuition awakens the Spirit. Within the body, especially the heart, the Laws of Nature are known. The Baul exercises are partly based on the concept of the Kundalini − a fire within the body which can be activated by the control of breath and dance-like motions. These exercises awaken the Spirit and become ‘Living Wisdom’ within each person. Wisdom aims at the good life. It involves intuition, feelings, and conscience. By great good luck one may see that moon. It has no dark spots. In it lies the golden abode of the Unknowable. In the world of the moon there is no play of day or night. Today, the Bauls are looked down upon by the more legalistic Muslims of Bangladesh or thought of only as “folk singers”. However, their search for the inner person, for the indwelling light has a message for each of us.